For a few years now I have been contemplating using Twitter in the classroom. I have been unsure about it, because of the negativity that goes along with a social media tool like Twitter. However, I decided that the pluses outweighs the downside, so this upcoming school year I plan to create a teacher Twitter separate from my personal twitter. I was researching Twitter in the classroom and found an article with great uses for Twitter. Tweet about upcoming due dates or assignments. One of the simplest ways that teachers can use Twitter in the classroom involves setting up a feed dedicated exclusively to due dates, tests or quizzes. Provide the class with a running news feed. Subscribe to different mainstream and independent news feeds with different biases as a way to compare and contrast how different perspectives interpret current events and issues. Sick kids or paranoid parents may like the idea of following along with class field trips on Twitter, and smart phone-enabled teachers can keep them engaged with pictures and descriptions of the lessons learned. Save paper by using Twitter to post up sample questions for upcoming exams for students to research and consider without ever having to put down their computers. The article talks about 50 examples how to use twitter in the classroom, above are four that I personally liked the best. The main reason I want to have a classroom twitter is to remind kids of tests and deadlines. There are apps dedicated to this purpose, but students are already on Twitter looking at it all the time. I also want to promote field trips I take with my classes and my FBLA. We have a small school and the more kids I can reach and get interested the better. 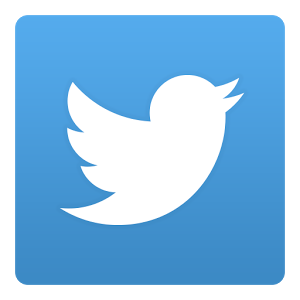 After I start with sending out information I would like to use Twitter in the class to interact with the students and have them interact with each other for educational purposes. This is a platform where they spend their time, why not reach them where they are at. To read the full article please view 50 Ways to Use Twitter in the Classroom.